What is Stump Grinding and Why is It Important? What is Stump Grinding and Why is It Important? What is Stump Grinding and Why is It Important? There is a big difference between chopping down a tree and removing it. So, when we talk about performing tree removal, we really mean removal. We don’t just come out and chop down the tree; we remove every trace of the trunk, branches, and leaves. And we don’t stop there! 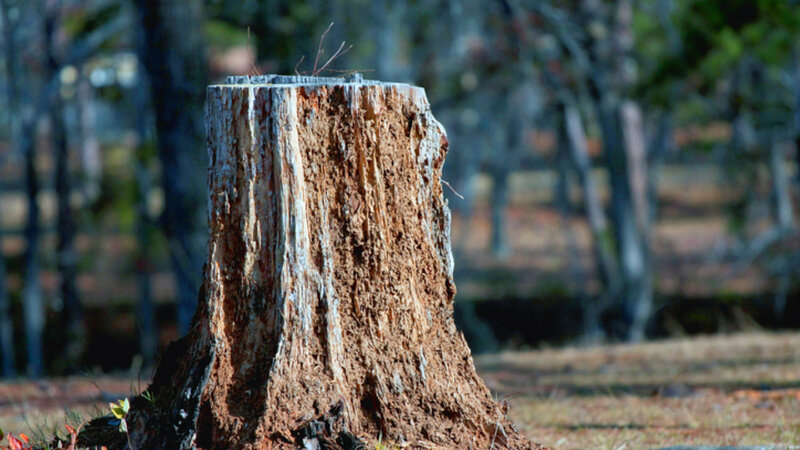 We will also grind the stump for you, so that your yard is left looking like the tree never existed in that spot. You might wonder why stump grinding is important. Can’t you just leave the stump there? Yes, you could, and some homeowners choose to do exactly that. But there are a few drawbacks to leaving the stump, some of which you might not have considered. First, removing the stump returns that part of your yard to a usable condition. You can plant a garden there, install a patio or some other feature, set up your kids’ swing set, or even add a new tree (assuming you’re not planting too close to the house). Without stump grinding, you’re left with an eyesore and a little bit of wasted space in your yard. Second – and this is the more serious problem – a decomposing stump can be an invitation to termites. While you might not care if they feast on your old tree’s remains, they likely won’t be satisfied with that. Now that you have a large, active termite colony in your yard, it is very possible that they will move on to invade your home. Finally, if you leave the stump, it might begin producing new suckers. Before long the stump looks a mess, and you have to keep removing the them. If you don’t, you end up with another tree, right in the spot where you didn’t want one! As you can see, stump grinding is an important final step in the overall tree removal process. If you’re looking for an experienced and comprehensive tree removal service, give us a call. We’ll take care of the problem, start to finish, so that you don’t have any additional concerns left over. send us an email, or give us a call.